The core value of the Samoa First Party is a commitment to make the people of Samoa the priority, starting with ensuring that their customary lands are safe. This is according to the Samoa First Party Secretary, Feagaimalii Toomalatai Bruce, who says that organising the political party was borne out of the requests of the people, particularly in the rural villages who want their voice to be heard. In an interview with the Sunday Samoan, Feagaimalii and Samoa First Party executive member, Sa’u Taloto. O. Brown, discussed their reasons for forming a political party and what they hope to achieve. 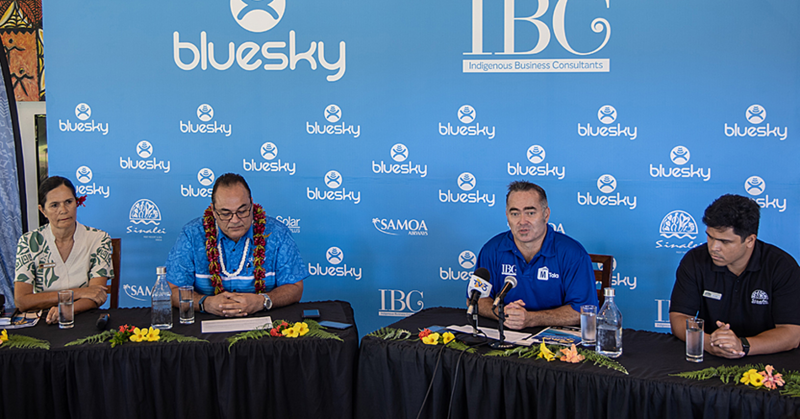 According to Feagaimalii and Sa’u, who are also members of the Samoa Solidarity International Group (S.S.I.G. ), their outreach programme in rural villages – informing villagers of their rights under the L.T.R.A. – had a positive impact because they received repeated requests from people to represent their views in Parliament. The Village Education Unit (V.E.U.) by the S.S.I.G. members were mobilised to any village that wanted help to understand the L.T.R.A. 2008 law and clarify their legal rights concerning the Land Act. “Our vision is to try and get our land sorted out, get our people’s land organised and we also need to have equal rights for all Samoans. That’s why we formed this party. We didn’t even have the intention to form one but when we went with the V.E.U, people started asking us ‘what can we do about this, are you a political party?’ and also if we could form a political party,” said Feagaimalii. Addressing the current one-party system in Samoa, Sa’u said one of the main concerns expressed by their supporters is that their views are not represented at a policy-making level, and forming a political party to represent their collective voice would correct an imbalance of power that is in favour of the Government. At this time, the party has not confirmed their political party manifesto, but they have one main priority, which is focused on customary land rights. 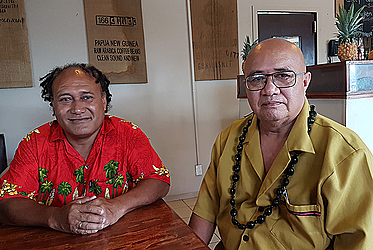 As members of the S.S.I.G., both Feagamaalii and Sa’u took part in a series of V.E.U aimed at educating and advising rural villages about the impact of the L.T.R.A. 2008. “The party is all about our people, the pride of our people about our lands. They always ask when we go to V.E.U's ‘is there any solutions for this?’ and ‘we need another party’ is another common thing said by people. It’s about clarifying rights and ownership; we need to help them understand especially our villages in Savaii,” added Sa’u. 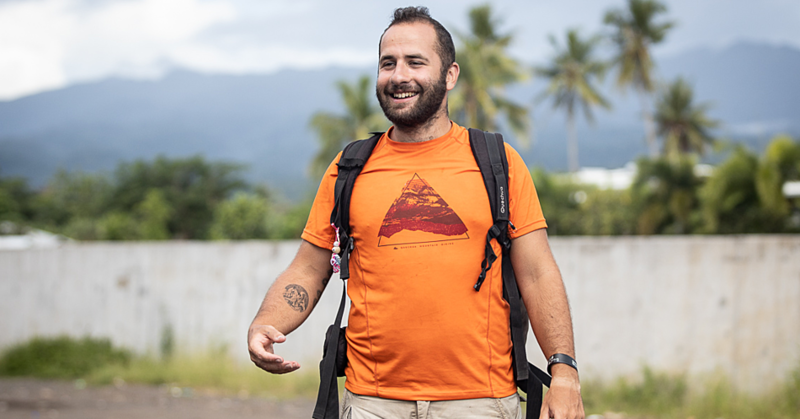 During the V.E.U drive around Samoa, their interaction with the villages uncovered major issues confronting rural communities, which he said made it even more urgent for him and other members to form a political party. Sa’u said they plan to present their findings to the Government with regards to the alienation of lands and used as an example a dam in his district. While the political party was borne out of the feedback from an S.S.I.G. 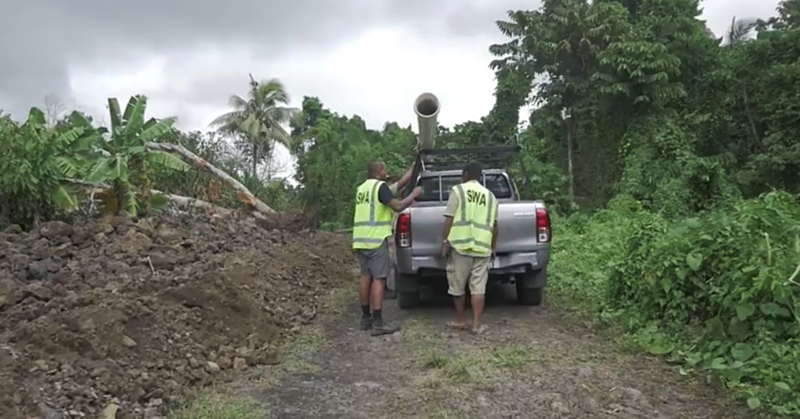 activity to educate rural villagers about the controversial land law, the secretary of the Samoa First Party points out that they are not affiliated with S.S.I.G. and that they are two separate entities. “Apparently S.S.I.G. is not intended to be a political party but as a matter of fact because we have other members who are in the party (we are both members of the S.S.I.G),” said Feagaimalii.